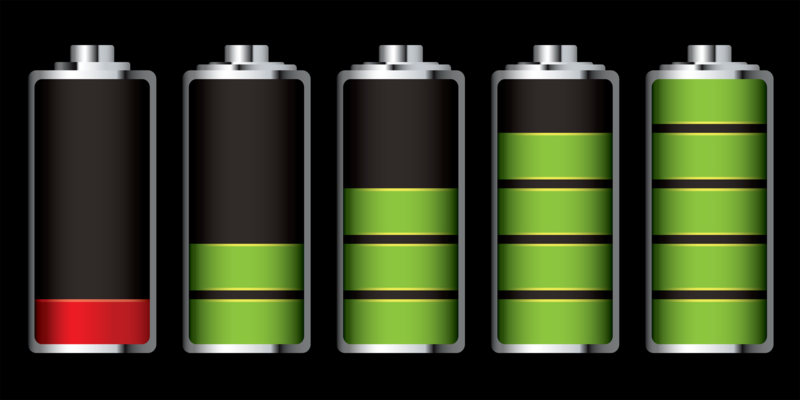 With lithium-ion batteries developing in the direction of high specific energy, the traditional graphite anode materials will gradually be replaced by the anode materials of high specific capacity such as the alloy, metal oxides the anode materials of high specific capacity. The anode materials of high specific capacity are easy to produce greater volume changes during the cycle, having limited its practical application. In addition to starting from the material itself, changing the binder is an effective way to improve the electrochemical properties of high specific capacity anode materials. In this paper, attempts are made in this paper to summarize the development of the binders for the high specific capacity negative electrodes of lithium-ion batteries over the past decade. The modified treatment of polyvinylidene fluoride(PVDF) binder can improve its flexibility and significantly improve the electrochemical properties of the electrodes. Compared with PVDF, the aqueous sodium carboxymethyl cellulose (CMC) binder can significantly improve the electrochemical properties of Si-based electrode. The reasons why CMC is significantly superior to PVDF as the binder of high specific capacity anode materials include being conducive to the dispersion of electrode paste, not reacting with electrolytes and being able to form chemical bonds with active substances. Meanwhile, the structural parameters of CMC itself (molecular weight, degree of substitution, cations), the addition amount of CMC, the pH value of paste, and the electrode porosity all have significant effects on the performance of CMC electrodes. The sodium carboxymethyl cellulose binder has a significant effect on enhancing the high capacity anode cycle performance and has received extensive attention. The full name of CMC is carboxymethyl cellulose sodium and it is a linear derivative polymer of cellulose. sodium carboxymethyl cellulose has adhesion, thickening, emulsifying, suspending and other properties, so is widely used in food, daily chemicals, construction and other fields, and is the most widely used cellulose product in the world. This part will be discoursed from applications of sodium carboxymethyl cellulose binder in lithium-ion batteries, bonding mechanism and related influencing factors. 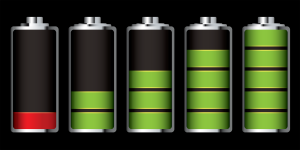 In lithium-ion batteries, sodium carboxymethyl cellulose was first applied as an aqueous binder in graphite anode materials. Compared with organic solvent binders (such as PVDF), the aqueous binder is more environmentally friendly and inexpensive, and thus has been widely applied. The graphite negative electrode with the use of CMC in a small amount (2wt%) can achieve the electrochemical properties equivalent to the electrode with the use of PVDF (10wt%). Meanwhile, the presence of CMC does not affect the intercalation and deintercalation of Li+ in the graphite layer or the formation of solid electrolyte interface (SEI) film during the charge-discharge process, so it is an excellent binder for lithium ion batteries. Studies have shown that when CMC and SBR (styrene butadiene rubber, a highly elastic emulsion adhesive) are jointly used, it can increase the dispersion stability of graphite slurry, so CMC is often used in conjunction with SBR. The degree of substitution of and the pH value of slurry both have some effects on the electrochemical properties of graphite negative electrode. There are many factors affecting the electrode performance. CMC’s own properties and its characteristics with the use of water as the solvent are very different from commonly used PVDF, so studying the process parameters of CMC and finding the influencing factors and relevant laws of CMC electrode are of great significance for the rational use of CMC and the improvement of electrode performance. The existing research results will be summarized from the following four aspects, CMC parameters (molecular weight, degree of substitution, and positive ions), the addition amount of CMC, the pH value of slurry, and the electrode porosity. Bridel and other countries also study the effects of CMC relevant parameters (degree of substitution, molecular weight and positive ions) on the electrode performance of CMC while studying the bonding mechanism of CMC. Experimental results show that CMC with a larger molecular weight has a longer chain and can simultaneously connect a plurality of Si particles together, so the electrode structure is more stable and the cycle performance of electrode is better. The larger degree of substitution CMC has, the more active sites of chemical bond roles it can form with Si particle surface. When the molecular weight is not large enough, a moderate increase in DS can increase the bonding strength between the Si particles and CMC, but too high DS is easy to cause the curling of CMC in the individual particles, which will instead affect the bonding effect of CMC. However, the smaller the positive ions are, the more unstable they will be in the solution and the more easy it will be to cause the curling of chain, so Li-CMC is even worse in the performance of the electrode compared with that prepared by CMC (i.e., Na-CMC), or K-CMC. Hoehgatterer et al have compared the electrochemical properties of Si/C electrodes for the two kinds of CMC DS (DS> 0. 8 and DS> 1. 2). Research results have also shown that the cycling performance for CMC electrode with high DS is superior to that for CMC electrode with low DS. However, the molecular weight of the two kinds of CMC is not informed in the literature. The research results by Xie et al., show that the ion conductivity of Li-CMC with higher DS can be more excellent, which is thus conducive to improving the electrode performance. Lee et al have used CMC ( a molecular weight of 330 000) with DS respectively 0.7, 1.28 and SBR together for graphite electrodes. The research results have shown that the dispersion of graphite in the slurry prepared by the binder with small DS is more stable and the cycling performance of electrode prepared is also better. It is thought in the article that this is because CMC with small DS is more hydrophobic and more easy to bond with the same hydrophobic graphite, so the electrode skeleton is stronger and the performance is also more excellent. The difference between the latter and the former conclusions may be related to the difference of active substances, so for different electrode systems, the effects of DS on the electrode performance need the specific analysis. The addition amount of CMC also has a greater impact on the electrochemical properties of electrodes. It is generally desirable that under the premise of ensuring the structural stability of electrodes, the lower the addition amount of binder is, the better it will be, which can increase the specific gravity of active substances and improve the energy density of batteries. For the graphite negative electrodes, the addition amount of CMC as low as 2% can still make the electrodes maintain good electrochemical performance, which, however, is obviously not enough for the Si negative electrodes. The pH value of slurry can also have an important impact on the performance of CMC electrodes. Lestriez et al compared the electrochemical performance of CMC (Si) electrodes under the conditions of pH=3 and pH=7 respectively. After 15 cycles, the reversible specific capacity of electrodes with pH=3 is 4 times as that of the electrodes with pH=7. The experimental results by Mazouzi et al also obtained a similar conclusion. The pH value of slurry can be always maintained at about 3 by using the buffered solution, and the CMC (nano Si) electrodes prepared can be stably circulated for over 700 times in the constant volume charge and discharge of 960 mAh/g, while the electrodes prepared in the sulfuric acid solution of pH=7 or pH=3 only in the initial state will appear attenuation after circulating for over 100 times. It is thought in the particle that under the condition of pH=3, CMC is easy to form strong covalent bonds with Si surface, so that the stability of the electrode structure can be enhanced and the cycling performance of electrodes can be improved. Practice has proved that the binder is an important factor affecting the electrochemical properties of high specific capacity anode materials. Using the suitable binder is an effective way to improve the electrochemical properties of lithium-ion battery high capacity anode materials. The traditional PVDF binder is not suitable for high specific capacity anode material with greater changes in volume during the cycling process, but the modification of PVDF and the use of CMC, PAA, sodium alginate as well as other new binders can all make the electrochemical performance of electrodes improved to varying degrees. The binder suitable for use in high specific capacity anode should meet the following several conditions. (3). It should have good compatibility with the electrolyte. The binders of CMC kind (containing PAA and sodium alginate) with the above conditions is significantly better than the PVDF binder in the use effects on high specific capacity anode materials. The structural parameters, addition amount of CMC, the pH value of slurry, and the electrode porosity all have a major impact on the bonding properties of CMC and the performance of electrodes prepared. Other new binders (such as the conductive polymer PFFOMB) also have significant effects on improving the performance of high specific capacity anode materials. The combination of suitable binders and optimized active materials will greatly accelerate the practical process of high capacity anode. The new binders will certainly play an important role in applications in lithium-ion batteries in the future.